30-31 MAY, ISTANBUL, IAIDO RENSEIKAI (intensified training together) The history of this event began in July of the last year, when during the budo-camp Peter Röder sensei, Ali Ari sensei and me were into one group for a series of exercises. Rene-sensei..
JODO WEEKEND IN BELGIUM AND THE NETHERLANDS 29-30-31 MARCH 2019 Friday evening 29/3 Jodo Keiko was in Sinaai, organized by Luc Weyn. The Friday evening group has developed to a more experienced group of Belgium jodoka. A friends group. After a soft warming.. EDITION 15 – IAIDO KORYU (MSR) ON 16-17 MARCH 2019 IN TORINO ITALY Fifteen years iaido Koryu (Muso Shinden Ryu) seminar organized by SGT Kiryoku Torino Italy. Location: SGT Kiryoku Dojo Turin. After a technical warming-up not physical but really technical.. Annual Iaido Seminar – 2019 in Braunschweig under senseis Rene van Amersfoort (Kyoshi Iaido 7 Dan, Kyoshi Jodo 8 Dan) und Peter Röder (Renshi Iaido 6 Dan) Organizer: Löwen Dojo Braunschweig e.V. The event page: https://www.facebook.com/events/403066487124320/?active_tab=about..
Jodo and Iaido seminar in Sofia (Bulgaria) The annual Iaido and Jodo seminar in Sofia on the guidance of Rene-Sensei and Karl-Sensei took place last weekend on March 2-3. And also traditionally we took participation in it. I – as usual – in the Iaido..
TSURU KAI BELGIUM hosts : Jodo Seminar by Rene Van Amersfoort Sensei​ ​(NL) 8th Dan Kyoshi Jodo Saturday, March 30​th Schedule: 10.00 – 12.30 and 13.30 – 17.00 at Sportshal “ Heiveld tennis”, Dreefvelden 1 B 2860 Sint Katelijne Waver Belgium.. ANNUAL IAIDO SEMINAR ORGANIZED BY SYUBUKAN DOJO IN ESSEN GERMANY ON 9-10 FEBRUARY 2019 + MONDAYEVENING KEIKO IAIDO 11 FEBRUARY 2019 The 2019 installment of the iaido seminar in Essen took place, as usual, on the second weekend of February. Participating..
KORYU IAIDO SEMINAR IN VOLKETSWIL SWITZERLAND 16-17 FEBRUARY 2019 It is nice to mention that in the same time we had our iaido Koryu (Muso Shinden Ryu) my teacher Louis Vitalis had a Jodo seminar in München Germany. We exchanged some photos. We started..
Iaido Italian Championship One week later the Iaido Italian Championship in Castenaso (BO), I finally got the chance to take a picture with my Sensei, Marilena Cioni (6dan renshi). As always, I was really happy to have the chance to participate in this.. Articles from Torino iaido seminar on 2-3 February 2019 On Saturday, sensei Van Amersfoort has taken up many of the news and clarifications that the Japanese sensei have brought to Europe last year. 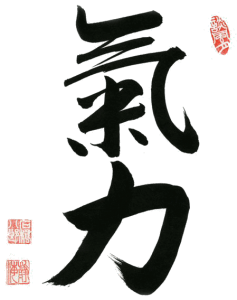 From the heels united during the Shōmen ni rei to the..
One training week in KiryokuDojo Zoetermeer (24-31.01.2019) Actually this note only for part 29-31 January. Because regarding the 24 January training I wrote formerly and on the weekend we had break for Ishido-cup. So for the period we had for trainings..
Ishido Cup 2019 Netherlands. Day of Jodo. After official part of opening of the seminar we started from light warming up and kihon during which we get some points to correct from Senseis. Then ZNKR Jodo Kata practice started during which we can look at.. Participation in the Ishido Cup Iaido Day This weekend our group from Varna participated in this wonderful event. Yesterday, the first day of the event was devoted to iaido. In the morning, after registration, the participants were divided into four groups..
A group from our club Kaiseikan (Varna, Bulgaria) arrived in the Netherlands yesturday. And last night we had the happy opportunity to practice at the Rene-sensei’s dojo in Kiryoku Zoetermeer. For me it was very exciting for the first time to visit the..
MANNHEIM GERMANY IAIDO SEMINAR 19-20-21 JANUARY 2019 ORGANIZED BY GEI SHIN KAN DOJO Friday morning arrival and lunch at Vietnamese restaurant Saigon in Mannheim: crispy wantan and spicy fish plus a Spezi (non alcohol drink), a mixture of Cola and orange..
JODO SEMINAR IN BRAUNSCHWEIG 12-13 JANUARY 2019 ORGANIZED BY LÖWEN DOJO Friday 11 January 2019 had a great Japanese dinner with good friends in Braunschweig Germany. Restaurant: Cooperativa Shiki. Quite new. There are not yet so many value or atmosphere..
SYUBUKAN DOJO ESSEN GERMANY ON 7 JANUARY 2019 IAIDO TRAINING Monday evening 7 January 2019 iaido training from 20:00-22:00 hours in SyuBuKan Dojo in Essen Germany. Nice group of iaidoka: Thomas (dojo teacher), Melike, Matthias, Louise (came back from..
NEW YEARS IAIDO KEIKO 6 JANUARY 2019 ORGANIZED BY SHINKAGE RYU GROUP IN THE NETHERLANDS The 7th edition of this ZNKR Seitei Gata iaido seminar organized by Shinkage Ryu The Netherlands. Location: Engelen in Den Bosch. Nice place, good floor. Logistics:..
FIRST JODO DUTCH TEAM TRAINING IN 2019 Saturday morning from Belgium to Den Bosch The Netherlands with Luc Steenmans and Marjan De Block. Both training in preparation for their next challenge in Jodo! Gambatte kudasai. The morning started with some delay,..